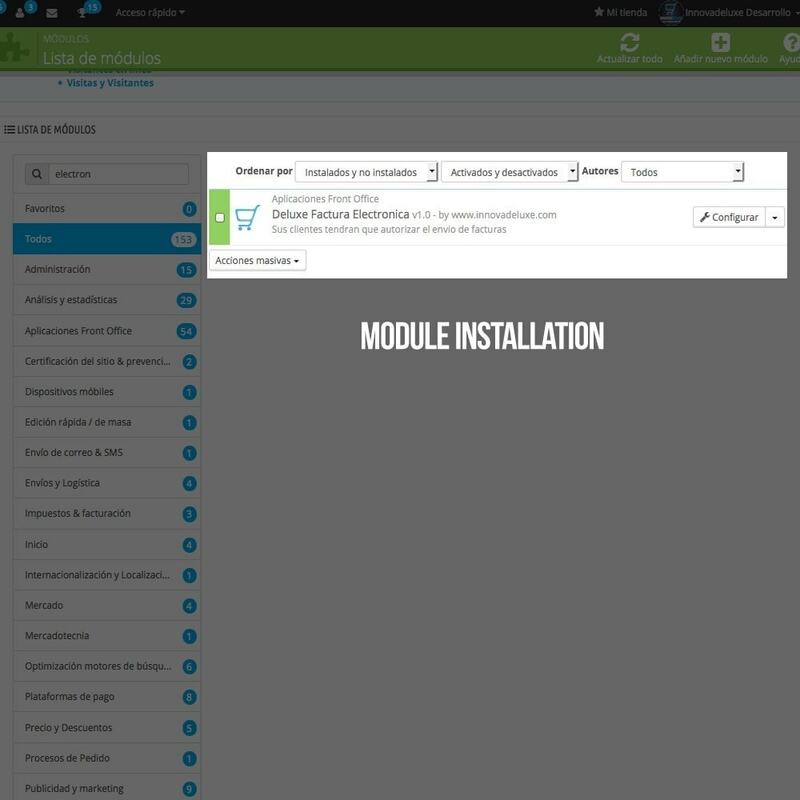 This module allows your customers to decide how do they want their bills. 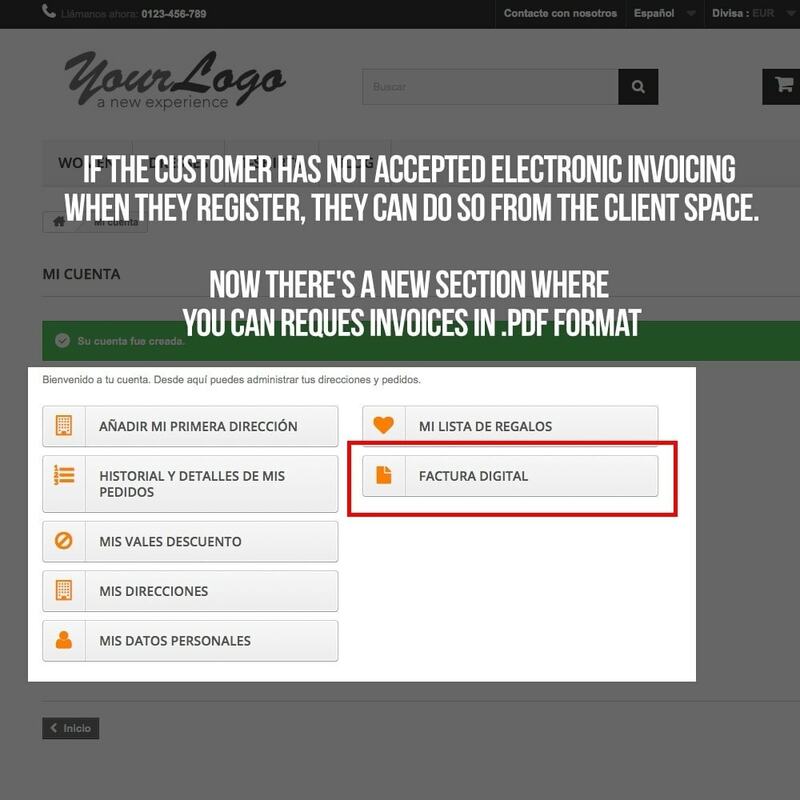 The law requires sending paper invoices unless the customer accepts the electronic invoice in PDF. 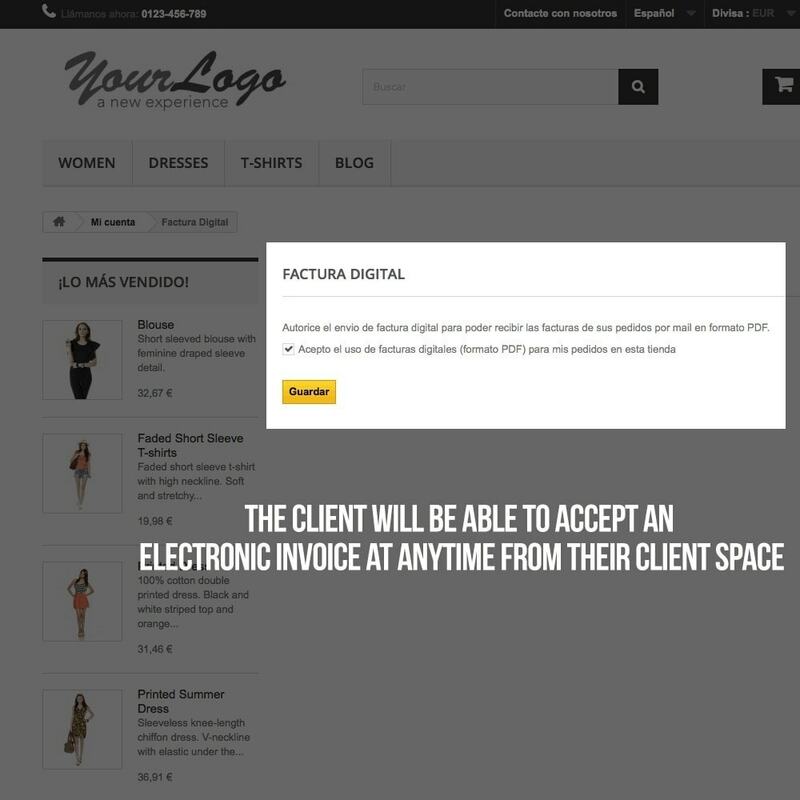 Since not long ago, the whole online stores are required to ask their clients for permission to send electronic invoices. If the client does not allow this permission, the invoice shall be submitted in paper mandatorily. If you don´t do this, you will be breaking the Electronic Commerce Law that was recently approved. 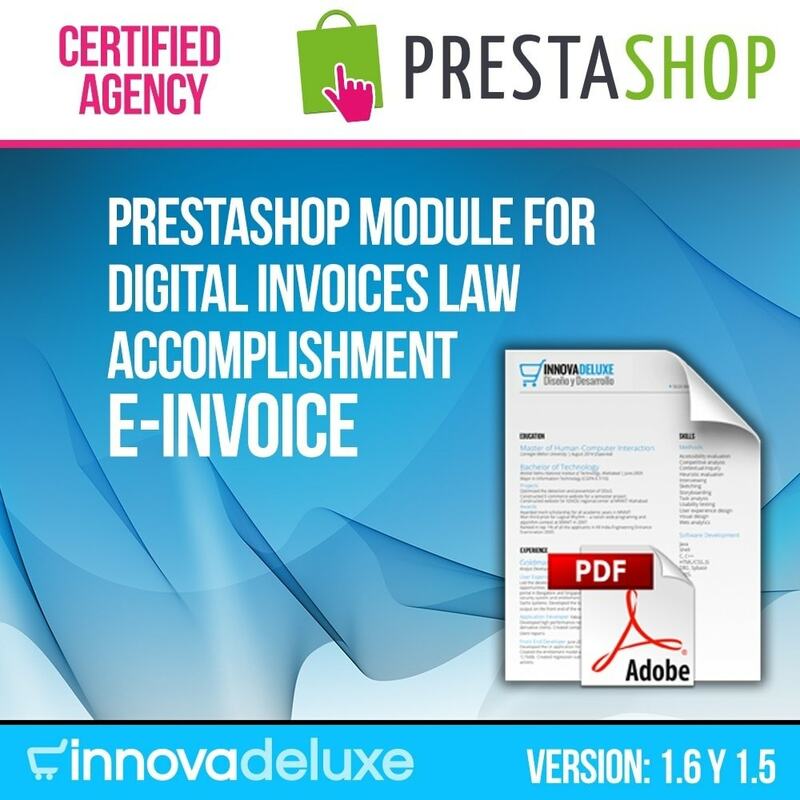 With this module for Prestashop now you will obey this law in your online store requesting to your users the acceptance of electronic invoicing and so you allow the download of PDF invoices from your account or even from an order record with just one click. 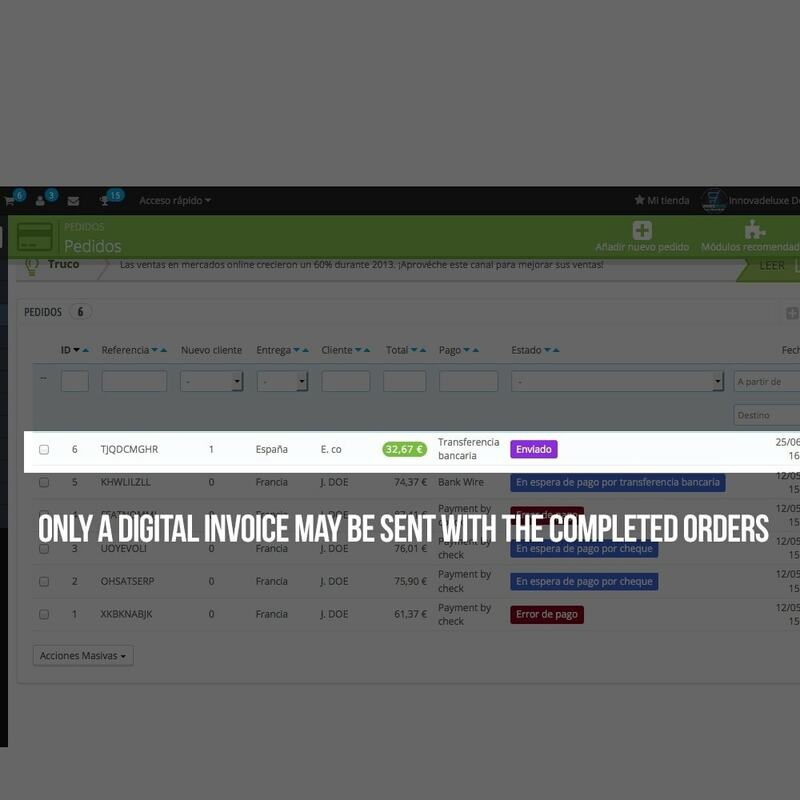 Deluxe Digital Invoice is a module developed for Prestashop online shopping that allows the merchant to send electronic invoices to their customers in PDF when customer enable the authorization before. 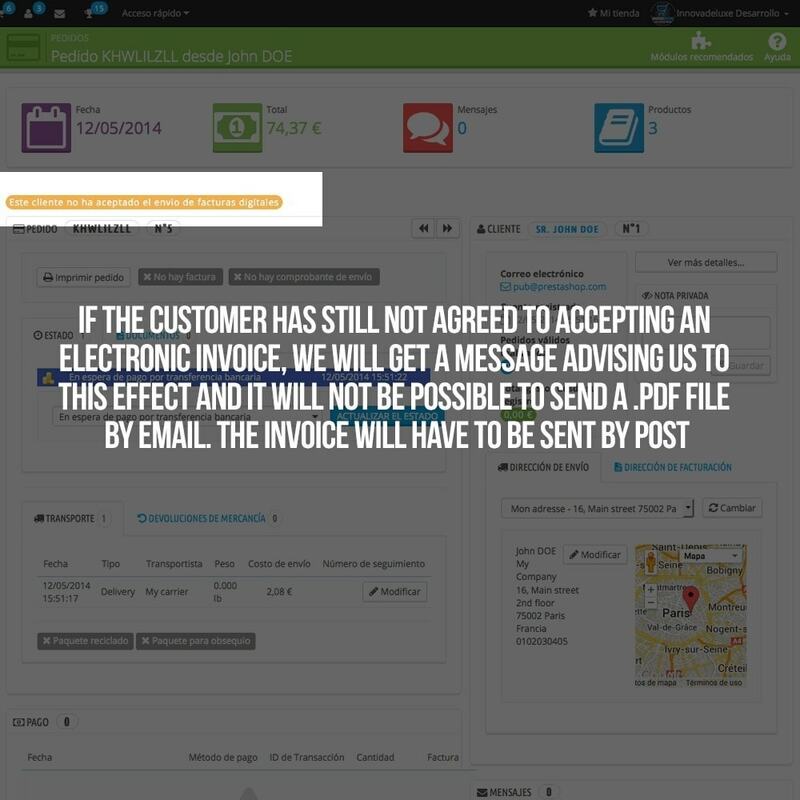 The system will show the customer request of electronic invoicing by default, which makes you make sure you obey with the law that establishes the obligation of sending electronic invoices. 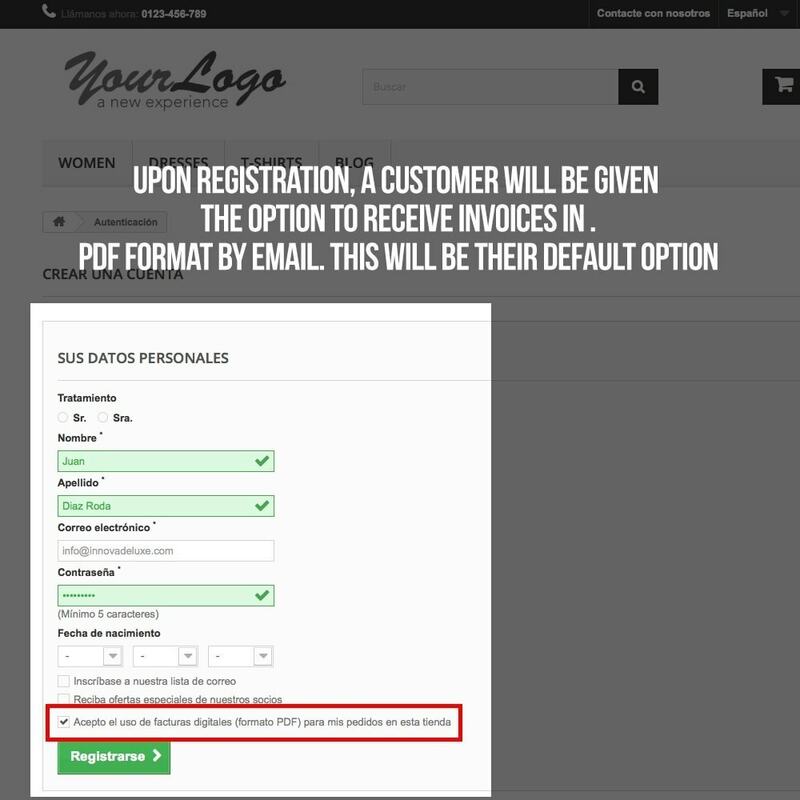 This application will send a message after new customer registration. But for existing customers there is also a solution, an option will appear on his customer profile to accept electronic billing. You will also have a new feature in your file order in your back-office. 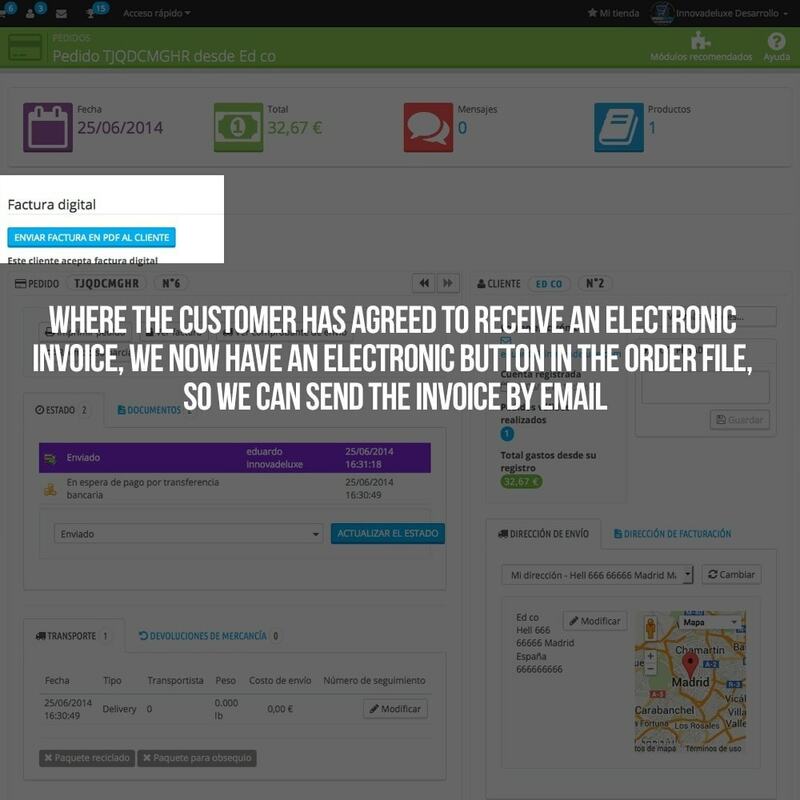 When customer accepts the electronic invoice, a new button will emerge to send to your clients the PDF converted bill by email. If customer does not, then the button won’t appear but it will emerge an alert message in order to remind you rending the bill by post with the order. Avoid having legal problems for e-commerce law requirements, being ensured that you are sending the electronic invoice converted in PDF or the format that your clients have requested. Complies with the European Cookies Law (included in GDPR). Displays an advice with information about the Cookies used in your shop and allows the customer to block cookies that do not interest them. Includes powerful store cookie auditing system. Prestashop module, to obey with the Data Protection law (GDPR)in your online website. Request conditions acceptance in the different data request forms. We create custom designs and exclusive modifications, we’re experts integrating Prestashop with other tools: Invoicing systems, POS systems, ERP’s… We have developed various hundreds of custom modules. Contact us, we can make any development you need. We’re experienced in designing, launching and supporting e-commerce projects. We take a project and we become a global service provider, we have the best customer support making our customers forget about problemas and focusing on the importat thing: Selling.